Charge simulation for charge air cooler calorimeter testing. Quantify the effects of pressure vs. temperature on heat exchanger performance. Surface air flow and temperature programmable. 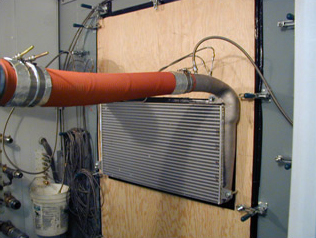 Use as a stand alone system or integrate with other supporting modules including radiator condenser and oil cooler.